These shots are breathtakingly beautiful. These photos are lovely. My favorites are (top to bottom) picture #4. 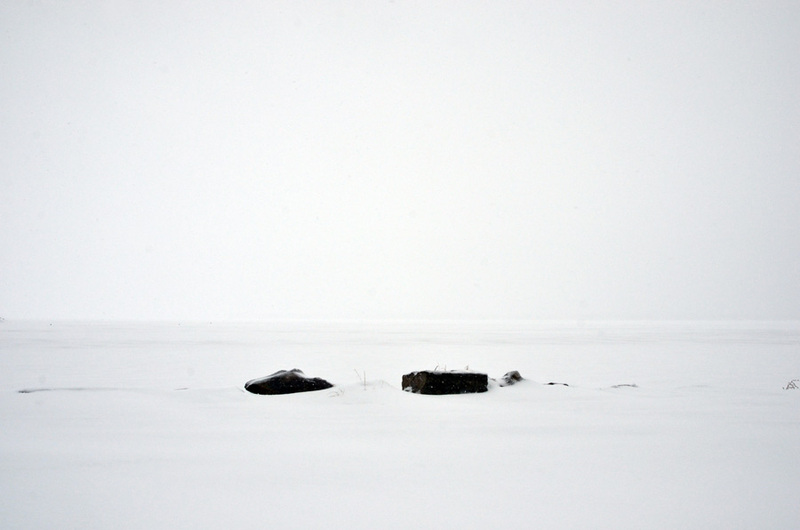 I really like how the stones seem to be jutting out of the snow and fog. 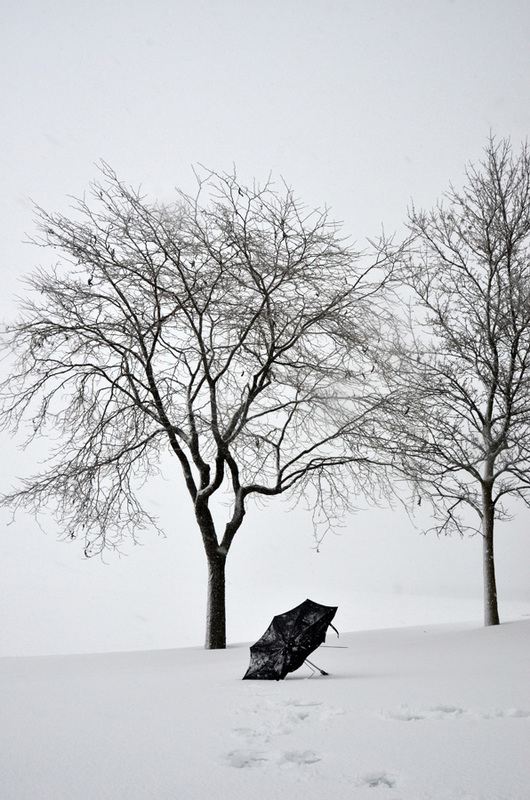 The frozen harbour photo is great and the umbrella photo is very whimsical. 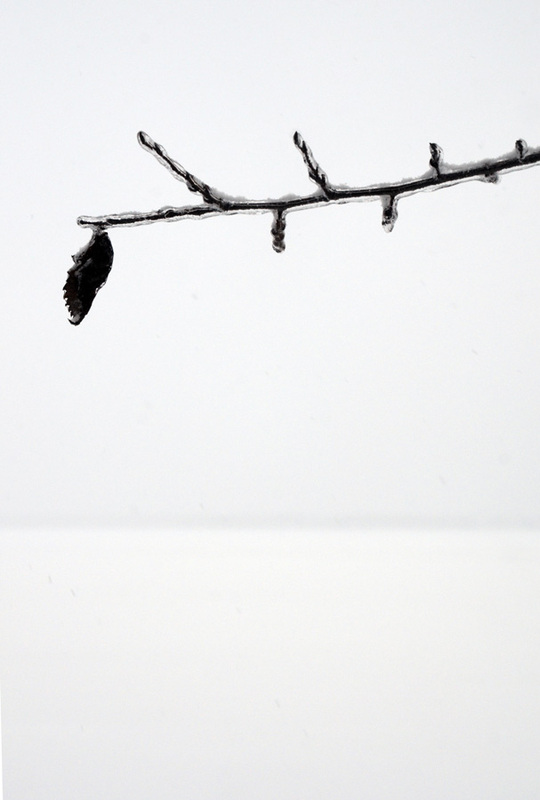 These images are beautiful – and such a different look to winter from what we have in Texas! Thank you Melinda. I’ve been to Texas in the winter and it is beautiful! Different for sure. Ah ! the sail boat docks…is that what was in photo 2 of yesterdays post Karen? It can be hard to keep up! I particularly like the dock photos.. and in this sequence the weeping willow tree ( one of my favourite trees and I’m lucky enough to have one in my garden 🙂 ) with it’s hint of colour and I love the slabs of stone too.. The dock picture is great! Shame about your umbrella but it made a good photo. 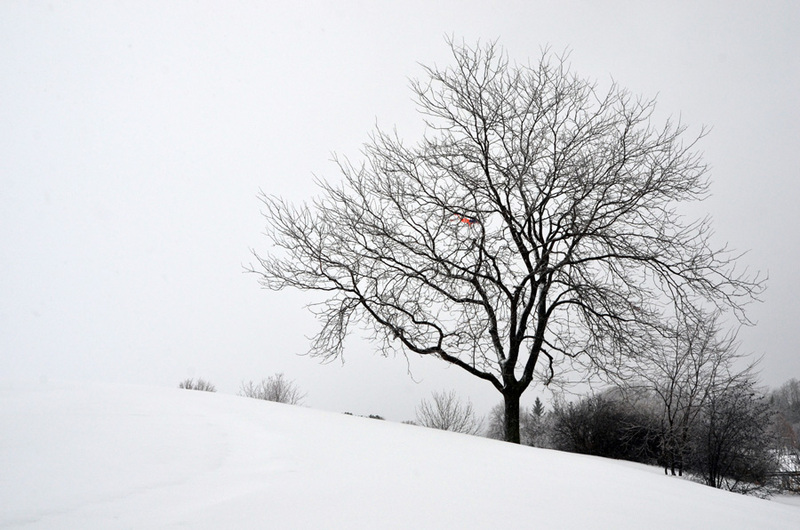 I like the contrast between the umbrella and the filigree texture of the trees set against the all white backdrop. A filigree tree, I like that. Thanks Louis! Hey Karen – Another fine set of photographs! I particularly like the first, second, third, fourth, fifth, sixth, seventh, eighth, ninth and tenth – oh! That’s them all, isn’t it! Oh, well! There you go! Beautiful. Love the weeping willow. 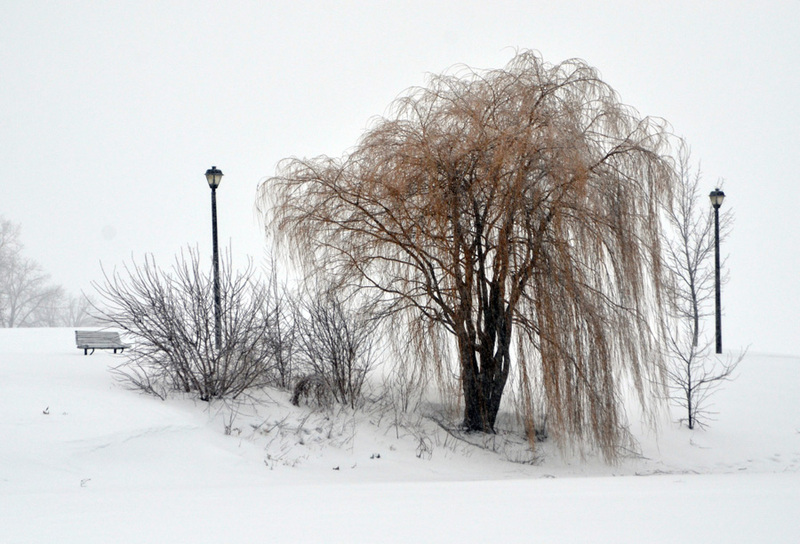 Hi David, weeping willows are beautiful in the winter aren’t they? They keep a warm yellowy colour and have such elegant form, thanks. Gorgeous monochromatic images, Karen! I especially like the bold graphical nature of the first image, and the repetition of patterns of the docks. Thank you Filipe, glad you like them. Add me to the list that loves the shot of the docks. I really do enjoy these monochromatic scenes; particularly when they’re such a contrast to what I’m shooting here in Sydney. I suppose I never really thought how harsh the weather can get in Canada, so it’s been wonderful to see these moments in time. It actually has been abnormally mild here this winter which I don’t mind. 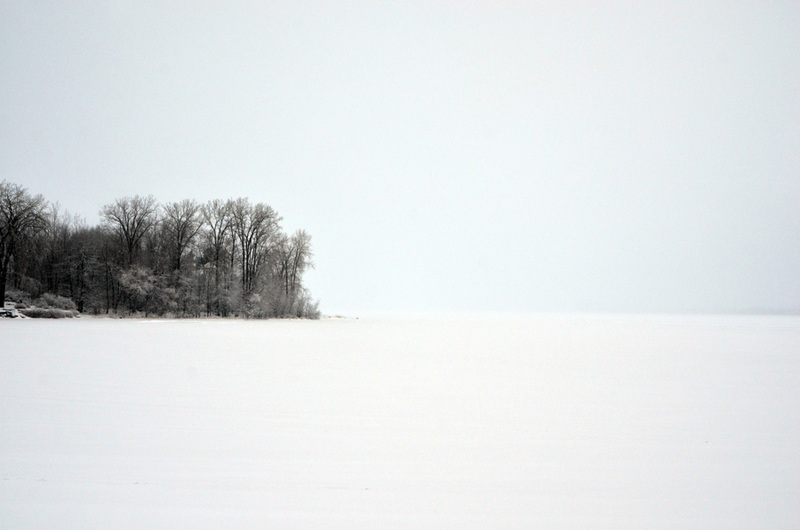 I do love the snow for contrast and crispness. It’s fun to go out and play in. Thanks Distan. 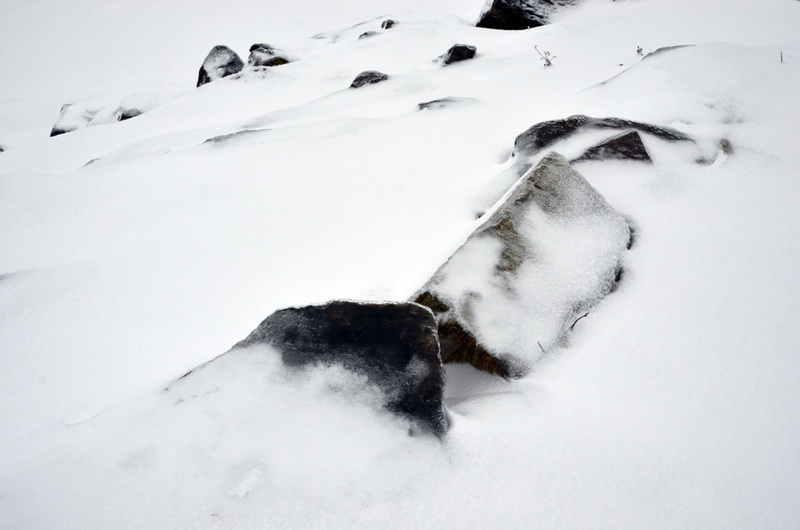 You captured the essence of the pristine beauty of snow that I so adore…incredible photos, Karen…truly. This is an exquisite batch of photographs. All so wonderfully captured and processed. And the composition for all of them is both very delicate and strong, particularly the use of negative space. It’s hard to pick one favourite because the belong together as a non-linear essay. Still, I may say that the one with the umbrella is a stronger image by itself. Great work! Karen, these are so beautiful. #5 is a firm favourite – and the second last image as I can imagine losing my umbrella in such weather. Thank you for braving the cold and taking these photos for us to enjoy – especially in what seems to be such a warm winter! Thank you so much, it’s actually been rather mild here and if you layer up it’s quite pleasant. Love them all, as usual. The umbrella speaks volumes. What a happy accident. 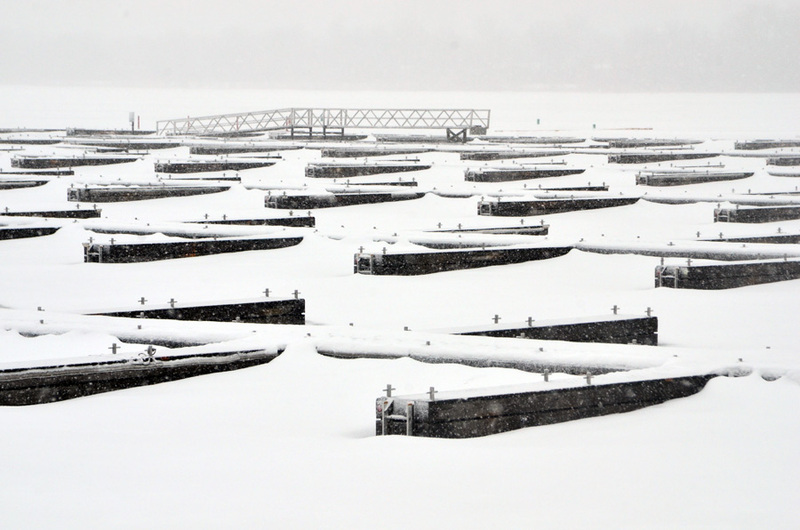 I love your sailboat docks in the frozen harbour image. Fantastic post Karen! 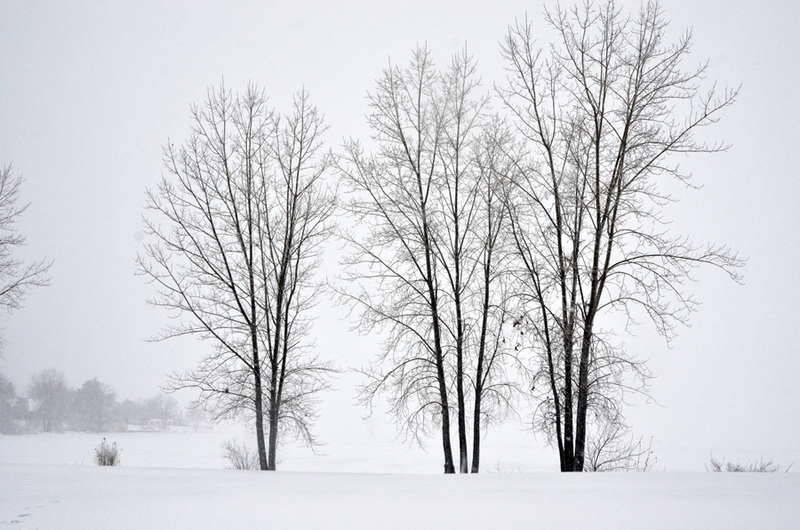 I love winter and especially love snow, I really enjoy your images. They are stunning! The sort of imagery that makes me pleased to not be living the in the tropics…. After every storm in Edinburgh, the streets are littered with umbrella detritus. The ONLY one of ours that stands a chance is a very girlie one – see-through with white dots and conical shaped. My husband is like a cat and hates getting wet but he has no choice. He heads out just looking perplexed. Does he take the “Girlie umbrella”? Eureka, I just discovered that if I hover over a photo it tells me the name. No more trying to count to tell you which one I love most, which is all of them. I love these shots and so envy you the snow. I live in the north east and today it’s supposed to reach 50 degrees. We’ve only had about 5 inches of snow all season and that is the total of two storms, way below normal. I loved the umbrella picture and the last one the best. You know I haven’t tried that kind of umbrella good tip! Thank you. More beautiful snow images! Simply wonderful, Karen. These are beautiful. 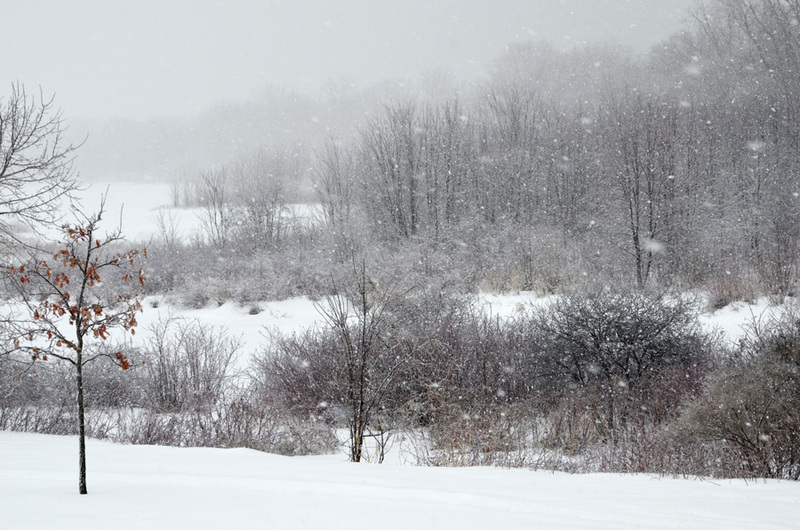 I love it when it has just snowed and everything is covered in an uninterrupted blanket of snow. It is so peaceful.